Book a flight with United Airlines® to St. Lucia for a getaway filled with romantic hideaways, luxury resorts, and activities as memorable as the island’s landscape. Its reputation as a renowned destination for spas and rejuvenating services ensures that you’ll return completely relaxed and refreshed. If it’s excitement you crave, St. Lucia offers a variety of adventure activities, from diving to deep sea fishing for legendary white marlin to jeep tours through the jungle. And with a unique fusion of cultures, you’re sure to return with plenty of stories to share about your St. Lucia vacation. Resort info: In breathtaking Saint Lucia, discover Hideaway, the perfect place to open yourself up to an elegant adults-only vacation experience. 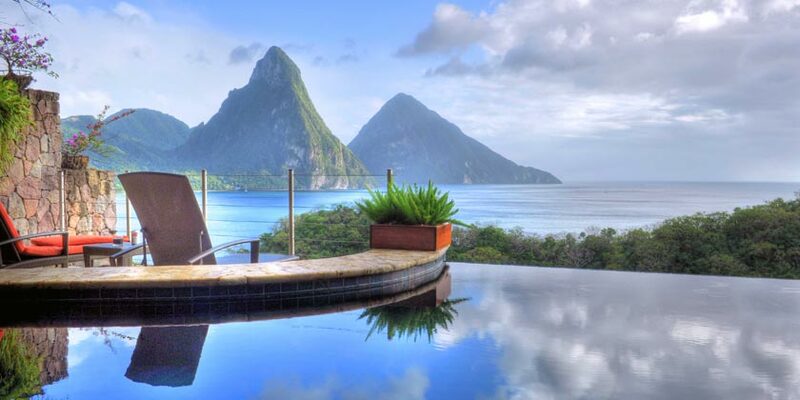 Resort info: Nestled in the lush landscapes set upon one of the most picturesque islands in the Caribbean, Royalton Saint Lucia welcomes each guest on a vacation in upscale style and comfort.